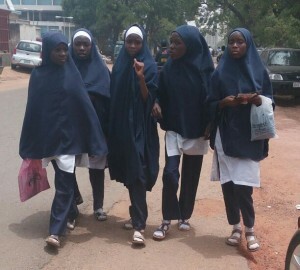 Kaduna State Governor, Malam Nasir El-Rufai, Wednesday said when the executive bill that gives access to 9 years free and compulsory education in Kaduna becomes operational in September, parents, who refuse to send their children to school will be prosecuted. The Governor, who was represented by his Deputy, Arch.Yusuf Bala Bantex at the event of commemorating the 2016 World Population Day under the United Nations Population Fund (UNFPA) 7th programme assistance held in Kaduna, noted that the day has been set aside to draw the attention of governments and developmental agencies on population issues affecting developing societies. El-Rufai disclosed that just a couple of months ago, the state received 21 Million US Dollars as grant from World Bank. He added that the state government is working tirelessly to increasing access to healthcare services to all children through comprehensive healthcare programmes: “Through this intervention, we are equipping primary healthcare facilities in all the 255 wards in the state and stocking them with drugs and medical equipment to increase access to quality healthcare. “We are also rehabilitating and equipping 23 Secondary Healthcare facilities in 23 LGAs for a better referral system and improved healthcare services for all residents of Kaduna State”. adult contributing to the growth and development of her community. He maintained that, “Teenage girls need to be given the necessary tools and opportunities to make informed decisions about their lives and future. That is why this administration has been pushing for the domestication of the “Child Rights Act”, as a necessary tool that will give girls the protection that they need and a fair chance for self-realisation. All public hospitals are providing free treatment and drugs to pregnant mothers and children under the age of five. These interventions will definitely go a long way to help in tackling the numerous health challenges faced by our teenage girls”. Currently, Nigeria ranks high among the contributors of out of school children in the world, with Northern Nigeria leading in this ugly phenomenon. unfortunately the northern region records the lowest school attendance rate, particularly for girls. As a government we cannot allow this dangerous phenomenon to continue as it is dangerous for our collective future” the governor said.